How do you imagine humanitarian design’s future? Which are the drifts to avoid and the rules to respect? In 1970, Victor Papanek in « Design for a Real World » advocated that the designer should work for UNESCO or UNICEF. In 2012, we founded Humanitarian Design Bureau. We cannot wait forty years more for the design to be integrated into humanitarian aid as a fully used tool. These facts show that the moment is favorable for design and humanitarian aid to meet: the latest evolution of humanitarian aid towards professionalization, a wider sensitivity of its products and the impact of its interventions on men and environment, but as well design which starts to be interested by more complex markets as BOP (Bottom Of the Pyramid) or co-conceptions processes. Tomorrow design in the service of humanitarian aid will be as natural as a carrier or an advertising agency nowadays. The drift that should be avoided is the same as for other stakeholders in humanitarian aid, and maybe someday for all the fields: a cupidity without humanity. Thus humanity could be enough as a guarantee… But it is true that each has one’s own humanity definition as in humanitarian aid today. One should not be lured and believe that designers could be better than others. But as they are the last to arrive, bearing an image at the opposite of humanitarian field, they would have to win their spurs for a long time and remain respectable in following humanitarian aid rules and probably to invent others. 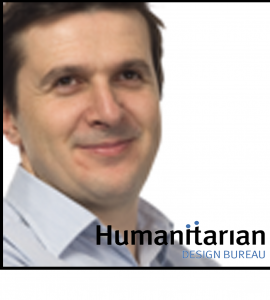 interview with Antoine Choumoff, director of Humanitarian Design Bureau. 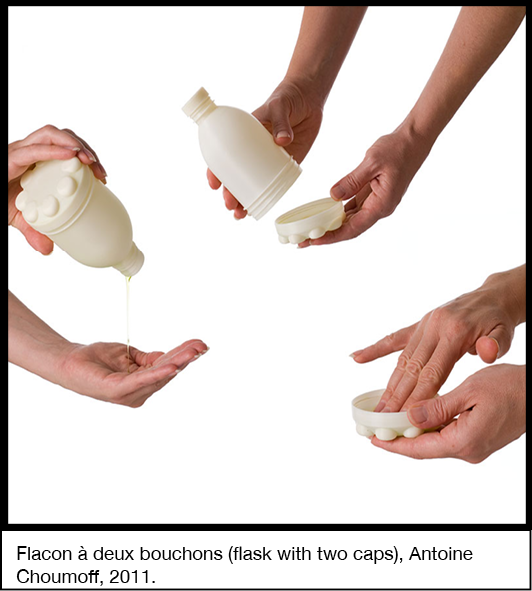 As we strive for a more humanistic and ethical design, some real solutions are emerging. Here is an example of a committed individual. 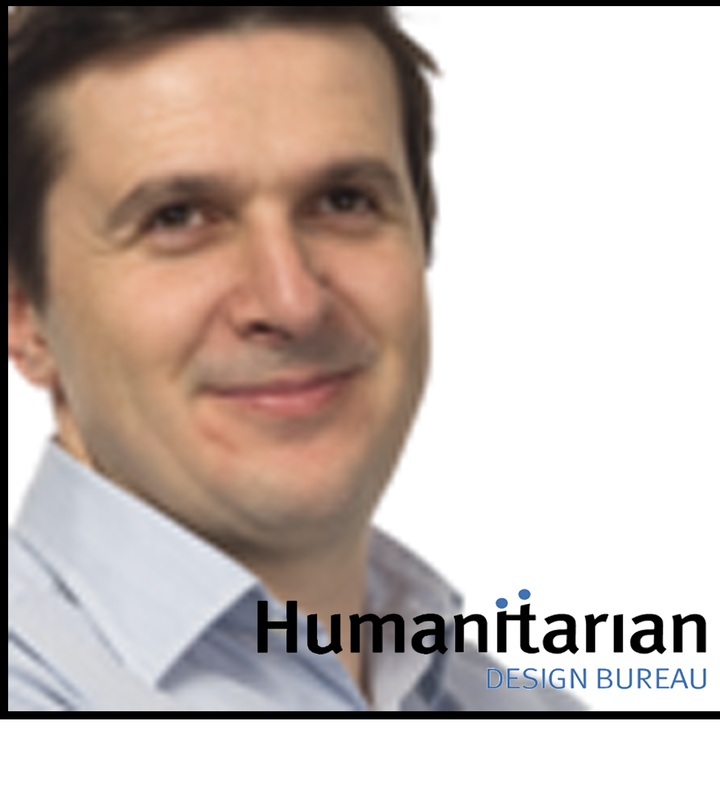 Antoine Choumoff who initiated the first humanitarian design agency : Humanitarian Design Bureau. Here are some questions to which he kindly answered. How do you define humanitarian design? In fact we speak about design for humanitarian aid. We do have a conceptual process on global solutions. It means products and its scenarios of use. Our aim is to bring aid to aid. To reach this goal, Humanitarian Design Bureau SAS gathers together, organizes and oversees the collaborative works of all of the actors and stakeholders that humanitarian aid requires to conceive possibly repeatable products and solutions which can answer to its constraints, expectations and needs in all of the areas and successive steps of a humanitarian aid. It concerns all the planet’s territories. It is made by respecting human beings and their environment. It reduces the interventions’ costs. Humanitarian assistance should be understood in it’s wider definition of aid brought to populations which need it especially in five intervention domains which are health, food, water clean-up, housing and education on three steps from emergency, post-emergency to development. But aid to the aid also concerns our developed countries as regards those who are called dependent persons. You are the first humanitarian design agency. How can you explain that there are not other agencies specialized in this field? This is a title that seems pretentious and we launched it as a provocation so one can prove us we are wrong. For the past two years since we created this company, nothing has changed. There is one Norwegian NGO « Design Without Borders » which navigates on the same seas…but it is an NGO which works with subsidies and not a profit-making design agency like ours. One should find this review unfortunate. Facing the difficulty to spread the word concerning what design can bring to the humanitarian world, it would be helpful to be hundreds… or thousands. •► management of the projects to bear them from the idea, the experience feedback and through the production. The economic stakes in humanitarian design are important because they lead to new markets and users in addition to require even more constraints. How do you bear in mind your objective? Economic stakes in the humanitarian world are not just important but also extremely complex, sometimes contradictory and partially tinged with stereotypes and image constraints that complicate them even more. One must dare to call it as it is, a market, without seeing into it the speculative part commonly associated to this word. This is a market occupied by many companies which offer many products which mostly are not conceived for this specific use or do not consider users. But who are they by the way: the backers who pay for humanitarian aid, NGO’s which distribute and/or the recipients humanitarian world call the victims. We are a young organisation as we exist since March 2012 and we have not deviate from our objectives yet. However I would say that the humanitarian world is constantly looking for a fault. Thus it is essential to scrupulously respect these three fundamental rules: humanity, impartiality and neutrality with operational fairness. We often picture humanitarian design as something that takes place on the other side of the globe. Do you have more local projects? As I said to you in our definition of humanitarian design, humanitarian aid is everywhere a person aids another. So it is neither in the South nor in the North : it is everywhere. When one starts like you a pioneering process, it is important to communicate about it. NGOs use impressive advertising campaigns. Which tools do you use to raise awareness of you cause? Since March 2012, we communicated in many different ways. 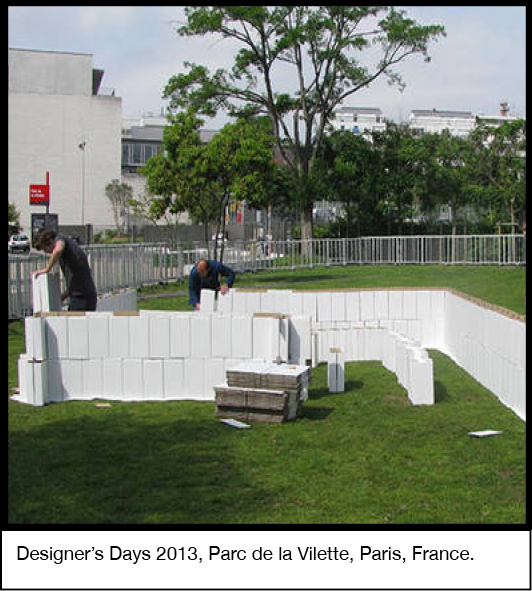 We participated to events as: Designer’s Days 2012 during which we occupied 800m² of grass in the Parc de la Vilette (Paris) and by making the visitors participate in order to make them discover what design can bring to humanitarian aid. 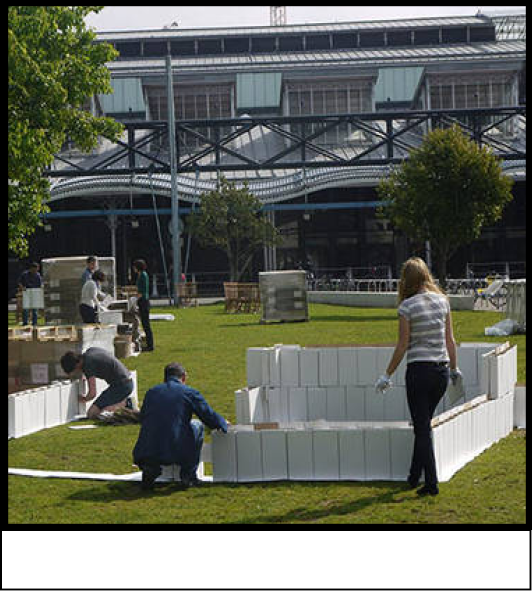 The international biennale of Saint-Etienne invited us in 2013. 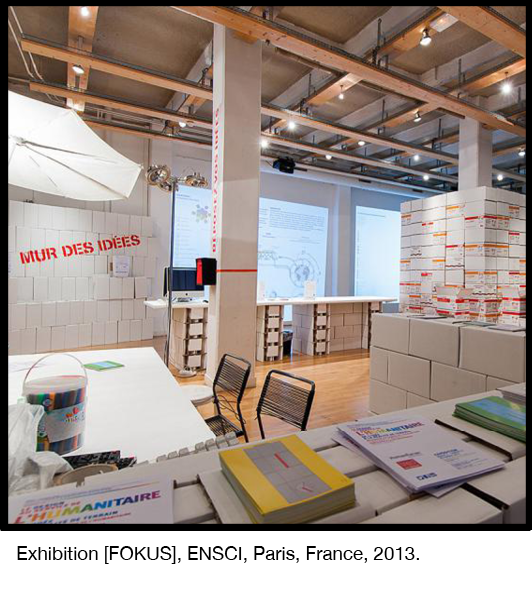 We also organized an exhibition called [FOKUS] about Humanitarian Design Bureau at the ENSCI (Industrial Design School in Paris) in 2013. We mediate our website www.humanitariandesignbureau.com and we link our events on social networks. We participate or organize talks, round tables debates and workshops. But above all we meet with indispensable, interesting and inventive persons. 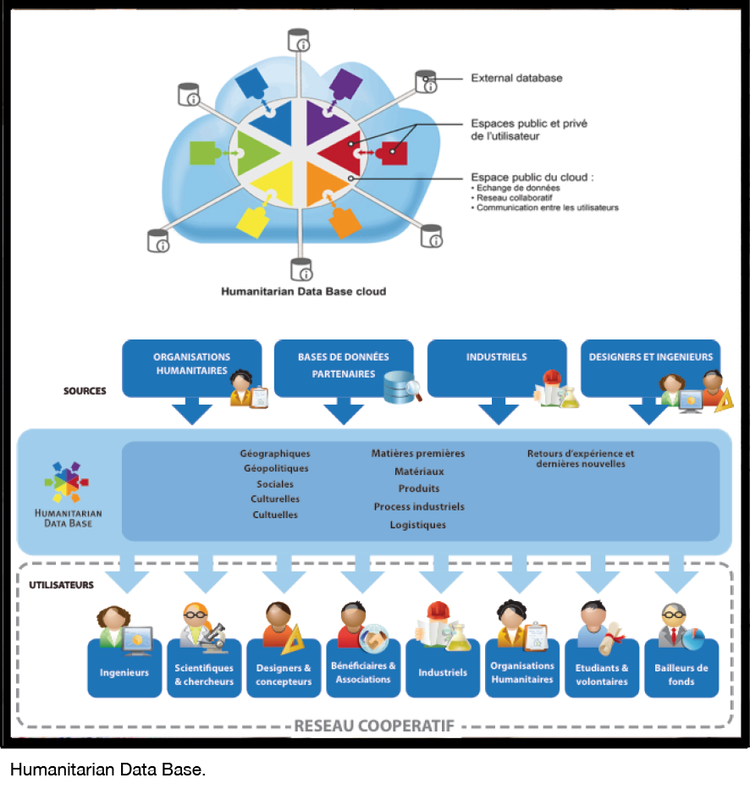 You created in May 2011 the first multitask database for humanitarian design, Humanitarian Data Base, which allows to centralize the impacts of humanitarian aid. We are in March 2014, where does it stand? It is unfortunately a project which is difficult to set up especially because the humanitarian field is very compartmentalized and not inclined to share informations each actor holds. It is a good example of this field’s difficulty : they all say how much they need such a tool, numerous specialized data bases already exist but humanitarian actors hold the informations that, if shared, would improve their aid. Humanitarian assistance lacks of data which would enhance their interventions. We own the name « Humanitarian Data Base ». None has thought about it before. The project is packaged and it just needs to be developed. All pictures are the courtesy of Humanitarian Design Bureau­.